Editorial Board Member of the International Entrepreneurship and Management Journal. Professor P.E. Petrakis has completed a high number of reviews in scientific articles submitted for publication in scientific journals such as: Journal of the Knowledge Economy, European Journal of Economic and Political Studies, Journal of International Entrepreneurship, Review of Behavioural Accounting and Finance, Small Business Economics: An Entrepreneurship Journal. Scientific Committee Member of the International Conference "A New Growth Model for the Greek Economy", realized on Wednesday 3 June, in Old Parliament Building, Athens, Greece. President of the Faculty of Economics - University of Athens, 2005-2009. Vice President of the Faculty of Economics - University of Athens, 2001-2005. Director of the Sector of Development and International Economics President of the Faculty of Economics - University of Athens, 1998-2002 and since 2009. Member of Research Committee of the University of Athens, 2003 - 2006. Member of Doctoral Studies Committee, Faculty of Economics - University of Athens, 2005 - 2006. 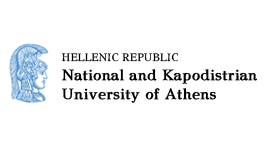 Academic Supervisor of «Development of Entrepreneurship» Faculty of Economics - University of Athens.